Motorway Services tend to be something of a ‘needs-must’. On a long motorway drive, we use them because they are there, rather than because we relish the experience. There is an exception, though. Ask any regular long distance motorist to name their favourite stop, and one name keeps cropping up – Tebay. This untypical service area is located just off the M6 at Penrith in Cumbria, between junctions 38 and 39. Tebay’s story began back in 1972, when local farmers, John and Barbara Dunning, joined forces with local bakers to establish a different kind of stop-off for drivers using the M6. 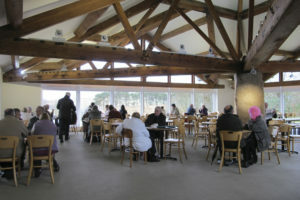 It was the first, and is still the only family-run motorway service station, serving locally-sourced food in an ambience that is a mixture of corner café and lavishly-stocked farm shop. On arrival it immediately looks different from others, with its grassy slopes and duck-pond outside the big windows of the café. Inside it is bright and light with a friendly feel to all the various zones. There’s a mouth-watering display of scrumptious-looking home-made scones and cakes to tempt you at the entrance to the café, where a children’s climbing frame-playroom lurks alongside the seating area. There is a separate area for freshly-cooked quick meals-to-go, if you’re in a hurry. In the café, breakfast is priced by the number of items you opt for, from £6.50 for five items to £8.50 for a nine-item blow-out. A light snack of two slices of toast with butter and jam is a couple of pounds. Meat served there is still from the family farm, and mostly the produce is in season. Have a cuppa, and a refill is half price. A hot meal for a child is charged at only £1 if an adult eats too. 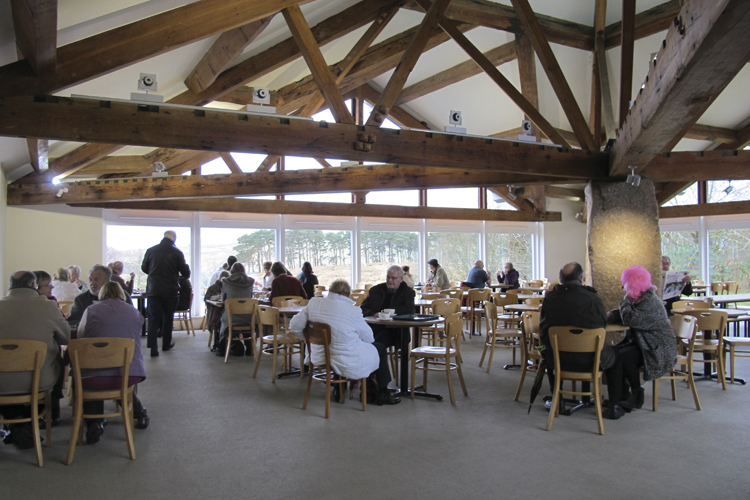 We called in for a snack on a chilly day in driving rain, and found Tebay to be an oasis of welcoming warmth and calm. Which? Holiday Magazine’s verdict was “the closest the motorway network comes to a Harrods Food Hall.” Except that we found the prices no higher than any other services, and the food choice a whole lot more wholesome and appetising.